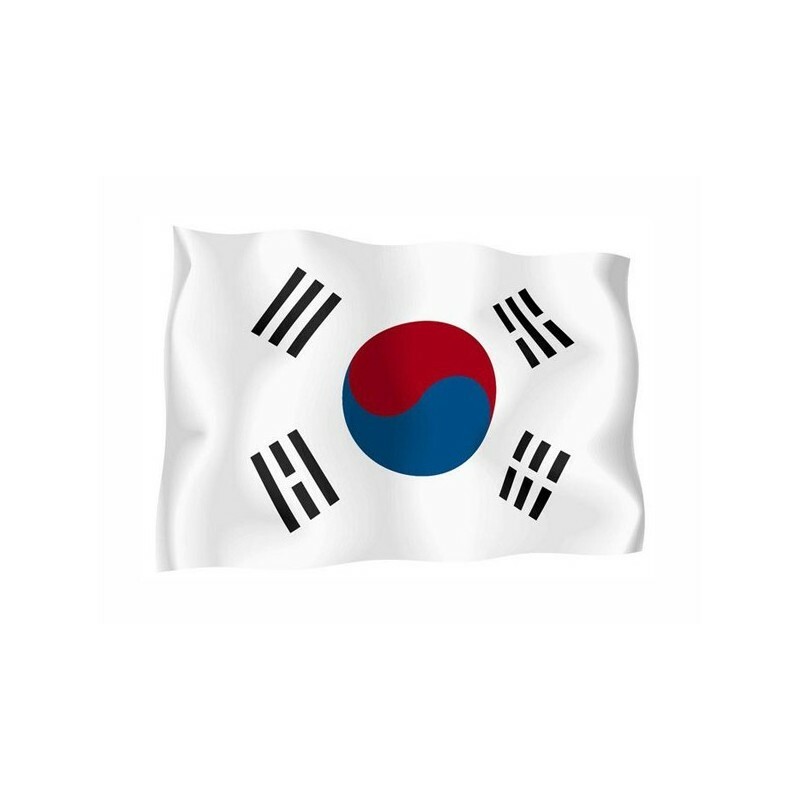 South Korea's flag of nautical woven. 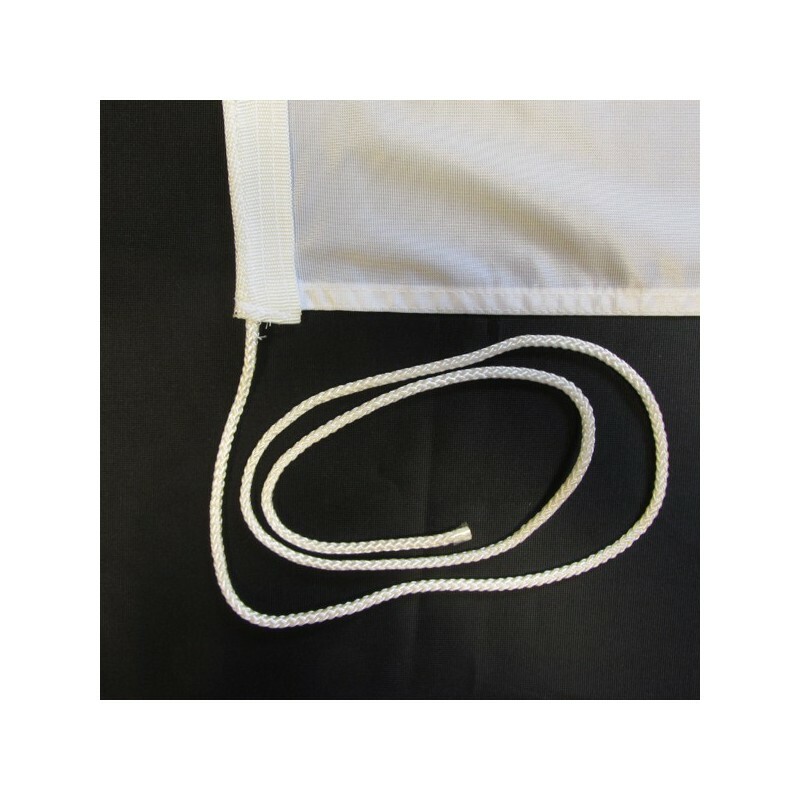 Flag of South Korea of nautical polyester, for external use only, with digital print. The National and civil flag hails to 8 of September 1948. It is white with at the core a red and blue yin-yang. In the four angles there are four different trigrams. 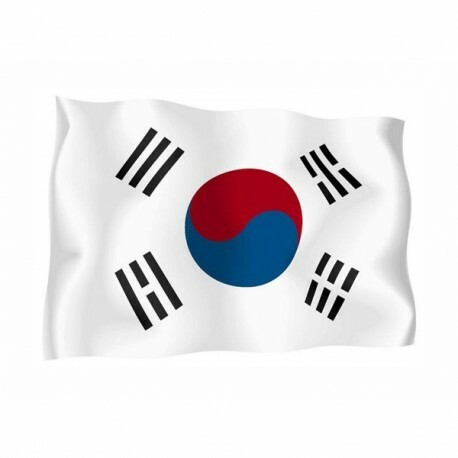 The flag used from the Korea Kingdom had the traditional colors: red, white and blue. 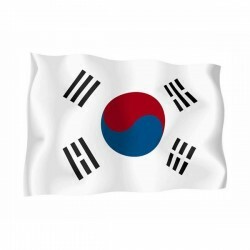 When in 1948 the South Korea divided from North Korea, it kept the same flag, but they made some modifications. At the core of the flag there is a disk, which contains s-shape line, with the upper part red and the lower one blue. It derives from the oriental symbol yin-yang, which represents the opposites. When the two Koreas divided, the yin-yang was stylised. 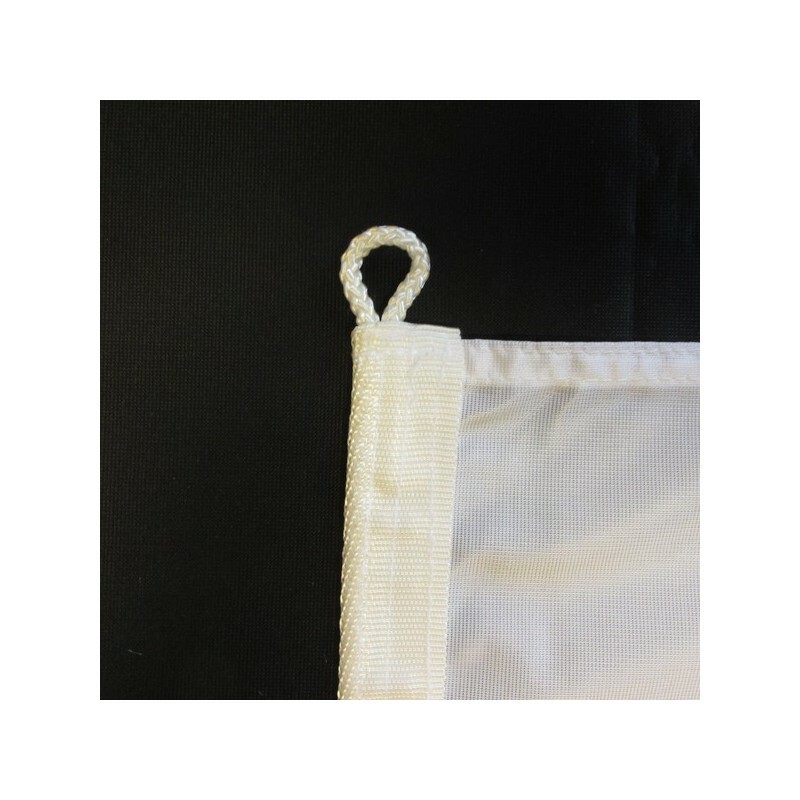 They are streamlined versions of daily objects, which are showed in symmetrical and regular forms. The other modification was that of the inscription in three letters (kwae), which encircle the yin-yang. They are the basic inscriptions of the I-Ching, the divination system which is spread in East. The sky is symbolized from three bars, the water is symbolized from two fragmented bars and a whole one, the fire from two whole bars and a fragmented one, the land from three fragmented bars. The white field represents the peace and the traditional korean clothes.